One of the biggest challenges that humankind will face in the next two decades is cyber-attacks. With each passing day cyberattack grow globally in size, sophistication and cost. And no one seems immune from the potential risk of cyber-attacks. Ransomware is becoming a global phenomenon and cryptocurrency is charming attackers. With this cryptojacking illegal mining of cryptocurrencies is gaining ground on ransomware as a preferred revenue stream. All this clearly show how today’s hackers will leave no stone unturned to perform a cyberattack. 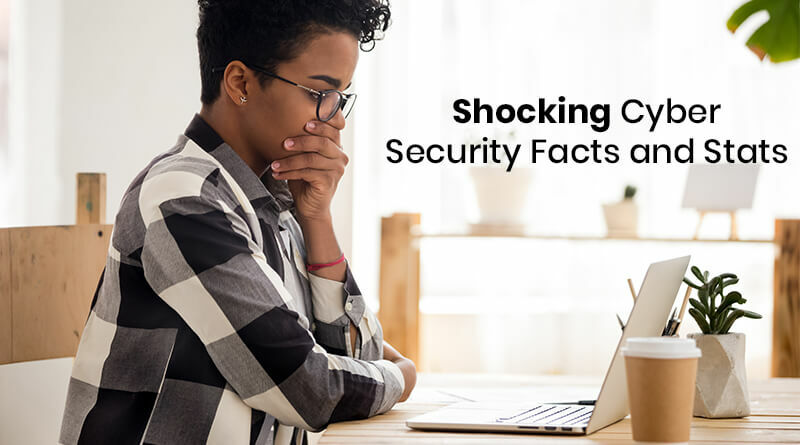 Here we bring for you some distressing cyber security facts and stats, that will make things clearer. Besides, economic growth advancement in field of technology like Big Data, AI, mobile payment, cloud computing and other are the driving force behind higher incidence of cyber attacks. We hope you liked the article. Aforementioned shocking cyberattack facts are based on comparison with previous years. If you have any additional information to share, please leave us a comment.